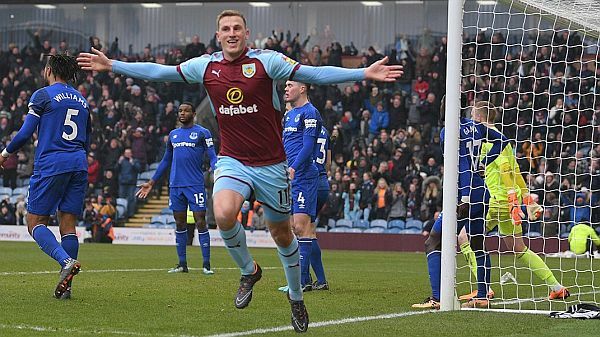 Saturday 3rd March 2018 at 12:50 p.m. Cenk Tosun scored his first goal in English football at Turf Moor to give Everton a 1-0 lead and potentially condemn Burnley to a 12th successive Premier League game without a win. The headline writers were on standby. 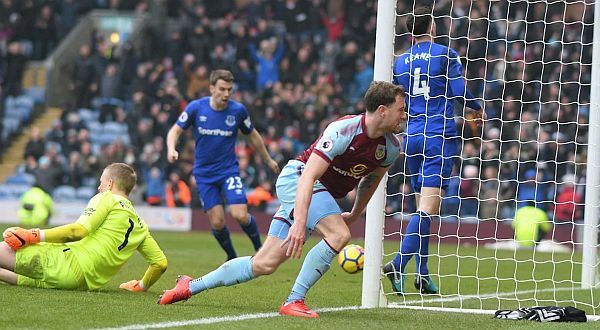 This was going to be another poor result for Burnley and the supposed slide from the lofty position of seventh in the Premier League was set to continue. As it happens, that defeat would have seen us drop just one place to eighth. One thing for certain, the scribes were ready to write, was that, once behind, there was no way Burnley could win this one because Burnley don’t come from behind in the Premier League to win a game. We’d not done that since winning 4-1 at Hull in April 2010 and beating Spurs at home 4-2 in the following month. When did this poor run start? The first of the games was at Brighton when we came up against twelve with the referee, it continued with Spurs when they somehow got a penalty and then we went to Old Trafford, and were unfortunate not to win, and Huddersfield where another referee stepped in to assist the opposition. It hadn’t been that bad a run, if you analysed it, and with all the injuries we’d suffered which had to be taken into account too. The fact is though, goals win games and points take you up the league table. Everything was against us here. We might have been a goal behind to a team struggling away from home but that inability to come back to win, added to the sight of Sam Allardyce, who has a good Turf Moor record as a manager, and confidence in the stands was certainly draining. We should know by now. 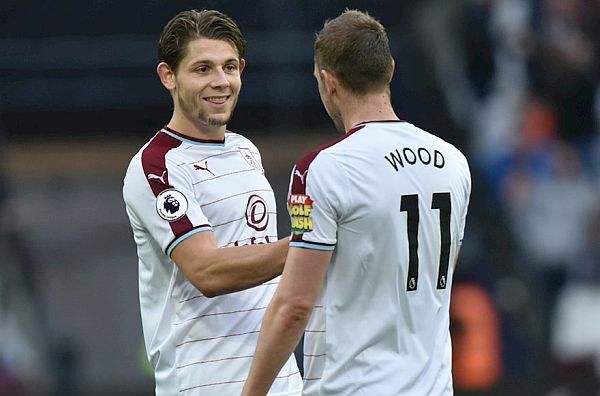 This club of ours is on the up and has been for some time and how things have turned around since, starting with a second half performance against Everton that saw both Ashley Barnes and Chris Wood score to give us a 2-1 win. Allardyce sulked, the Everton fans abused him, Sean Dyche applauded the Burnley fans who went home happy, and, in truth, probably relieved that we’d finally got a win. It took us to 40 points. That was our final total last season and a year on we’d reached it with nine games still to go. It’s significant is 40 points; it’s the Premier League equivalent to the 50 point total in the Football League that was always Stan Ternent’s first target when he was Burnley boss. “We’ll get to 50 points, then crack on and see where it takes us,” he would say. That was one big win for us and suddenly there was confidence around again. The message board was a better place and the hope now was that we could get something at West Ham. We’d played once previously at the London Stadium but it wasn’t anything like what we were about to witness this time round. Pitch invasions, protests, fighting in the stands, owners targeted with missiles (allegedly) meant, for us, it was a fun afternoon. The first half had passed quietly. To be honest, they were the better of the two sides. The second half was a different story altogether and every time we scored a goal we got at least one West Ham fan on the pitch. Barnes and Wood were the goalscorers again; Barnes getting the first and Wood the next two in a 3-0 win. West Ham have serious problems and I’m not sure how things are going to improve for them in that stadium but two wins in successive weekends for us was just what the doctor ordered. On the subject of West Ham, they hold an unwanted Premier League record. In 2003 they were relegated with 42 points and that’s the highest points total for a relegated club since the league was reduced to a twenty team league. We’ve passed that total now. All those who had hit the panic button during the run without a win can stop right now. Even those with their glasses virtually empty can now, surely, confidently start preparations for another season in the Premier League. “Just bring on the next game,” had to be the cry after successive victories but no, it looks as if the Premier League are testing out the winter break that is scheduled to be introduced in two years time. We are 19 days past that win at West Ham and we are still waiting for our next game, the reason this time being Chelsea’s FA Cup commitment and an international break. Did I suggest it had been a good few weeks at Burnley? Martin Dobson made his England debut in March 1974 and then we waited, and waited and waited, often in vain hope, four our next England international. Then came Tom Heaton, followed by Michael Keane and more recently Jack Cork. This season Gareth Southgate has almost had a Turf Moor season ticket and, thankfully, he’s been watching our players. 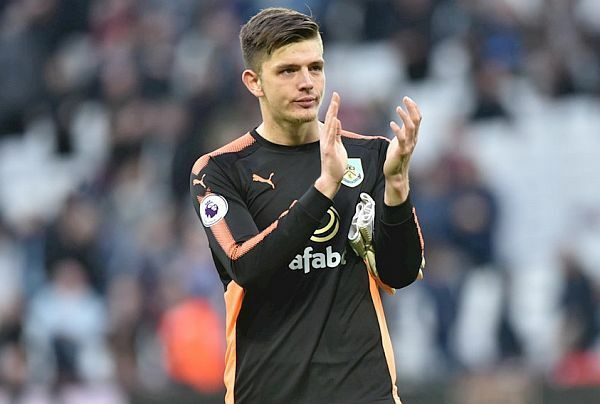 Two weeks ago today came the brilliant news that both Nick Pope and James Tarkowski had been called up for the friendly internationals against the Netherlands and Italy. It wasn’t just in Burnley that their call ups were welcomed either with welcome messages coming from managers at former clubs. Having been released by Ipswich, Pope went into non-league football and Richard Wilkins, who taught Pope as part of the West Suffolk College scheme and was also his former manager at Bury Town, was delighted for his former goalkeeper. “I still speak to the lad regularly, he has done brilliantly so far,” Wilkins said. Our first attempt at signing James Tarkowski was two years before he arrived at Turf Moor, but Brentford got in ahead of us to sign him from Oldham where he had come through the youth system. Their academy manager is former Claret Tony Philliskirk and he said: “I would like to pass on my congratulations to James and all of his family for his England call up from everyone including coaches, staff and players within the Oldham Athletic academy. As we now know, Tarkowski got a debut against Italy in the second game; Pope has to wait a while longer, but that wasn’t the only good news two weeks ago today. Just as I was preparing to leave home for our under-23 game, the club confirmed that Ashley Barnes had signed a new deal. He might not be able to organise Austrian passports, but he’s certainly perfected the art of bullying Premier League defenders recently and he’s scored in each of the last three games, a first for him since signing for Burnley. His performance in the last home game gave Michael Keane the most difficult game I’ve seen him have. I don’t think there was a solitary dissenting voice at the news of his new deal. We’ve since seen a number of our players receive international calls at all levels from under-18 to senior squads and we can currently boast no fewer than 17 full international footballers in our squad with of 13 of them having represented their country since joining Burnley. So, undoubtedly, it really has been a special time at Turf Moor recently and now we can finally get back to playing football in two days time with that trip to West Brom. We’ve already broken our points record for a Premier League season, let’s see how much we can increase it in the last eight games. That goal scored by Cenk Tosun is almost forgotten now.